The promise of the internet of things (or IoT) is extensive. Sensors are creating previously unimaginable benefits by connecting the “things” around us in new and powerful ways. Sensors placed in cars are allowing insurance companies to link policy premiums to actual data on how and where a car is driven. Sensors placed in teddy bears are allowing hospitals and parents to closely monitor sick children’s vital signs in a natural, comfortable environment. Even Disney is getting into the act with sensor-enabled MagicBands that allow customers to enter parks, unlock hotel rooms, and purchase food and merchandise with a simple wave of their hand. If these innovations seem unbelievable, consider this: we’re only scratching the surface of what the IoT is capable of. According to McKinsey, the Internet of Things could have a potential impact on our economy of up to $6.2 trillion per year by 2025. Mary Meeker’s latest Internet Trends report highlights sensor-enabled wearable computers as the next major computing wave. One industry that is starting to awaken to the potential of the internet of things, and specifically sensors, is retail. With over 90 percent of retail sales still taking place in physical stores, retailers have a huge opportunity to create “smarter” stores and shopping experiences for consumers. Whether it’s monitoring shelf inventory levels or analyzing shopper traffic patterns, sensors represent the key to unlocking valuable new data for marketers, merchandisers and supply chain professionals. Virtual dressing rooms and “magic mirrors” allow shoppers to “try on” any number of fashion styles and colors with the touch of a screen. And the online and offline worlds collided this summer when eBay offered shoppable storefront windows for Kate Spade in New York where passersby could browse and make purchases 24 hours a day. One particular application of sensors in retail that is poised to grow exponentially in the near future is in-store mobile marketing. Consumers are increasingly relying on their smartphones to help make more informed decisions while they shop, and sensors placed in retail stores offer a unique opportunity for brands to provide shoppers with highly relevant digital content on their mobile devices while they browse in specific areas of the store. Google recently commissioned a survey on shopping habits and found that more than 66 percent of smartphone owners already use their phone to help them shop while in a store. The key for retailers is to create additional value for these shoppers while they are in the physical store with their mobile devices. Sensors offer a new level of time and location data that can be used to make the shopping experience much more personal and engaging for consumers. Major tech companies have taken notice. In September, both Apple and Paypal announced support for Bluetooth Low Energy beacons: in-store sensor technology designed to help merchants connect with consumers on their smartphones. Pioneering retailers like Kenneth Cole, Timberland and Alex and Ani are already using Bluetooth Low Energy sensors to deliver exclusive offers and content straight to consumers’ smartphones the moment they walk into a store. Imagine entering one of these stores and receiving a push notification with a personalized greeting and an exclusive offer on the newest arrivals. Overall customer sentiment has been extremely positive. 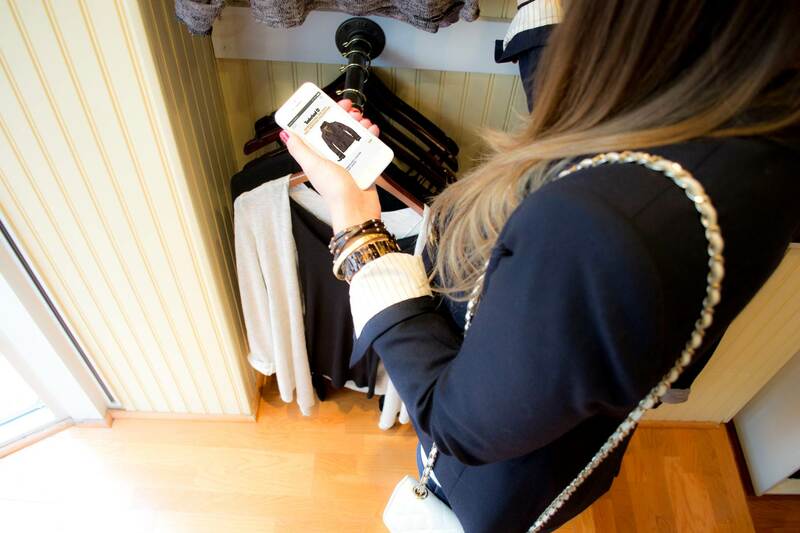 Over 90 percent of surveyed shoppers who visited Kenneth Cole, Timberland and Alex and Ani in New York and Boston during their pilots of this technology said they would be highly likely or likely to use an in-store mobile experience again. These retailers reported a 75 percent open rate for in-store personalized offers and an impressive 35 percent conversion rate, meaning a substantial amount of shoppers not only appreciated the personalized offers but also acted on them. Sensors are the fuel for creating a world that responds in real-time to virtually any piece of information imaginable. For retailers and shoppers, the potential for providing incredibly relevant digital content at the moment of purchase decision is revolutionary. By connecting smartphones to indoor location sensors, the in-store shopping experience is about to undergo a fundamental transformation that will seamlessly link the physical and digital worlds in previously unimaginable ways. The future of retail is here. Are you ready? S5 TECH in Italy has developed the wireless platform that delivers today the vision of the store where the physical and digital are blurred in one consumer interactive experience. We call this Store Space Squared. The vision of the future since 2010.